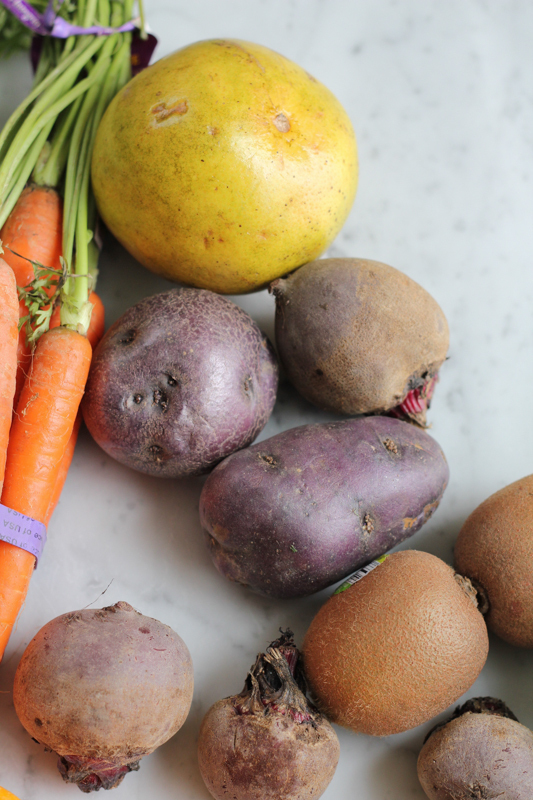 Today’s recipe is all about celebrating fresh produce and pantry staples. Because, friends, that’s all you really need to make a great meal. Recently, the good people from Farmbox Direct sent me a box of 100% organic fruits and vegetables. 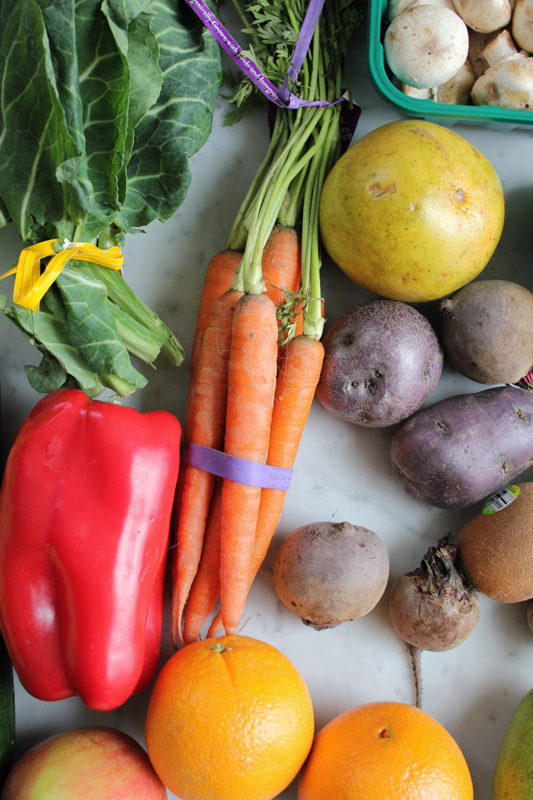 Farmbox Direct is a new subscription based produce delivery service. They are a farm to table, CSA style, USDA certified organic produce delivery service with a focus on locally harvested seasonal produce and all of their products can proudly show the USDA organic logo. Because Farmbox Direct works with several different farms, you are able to customize what is in your box. So, enjoy a box of fresh fruits and veggies of what you want and each box comes with a recipe suggestion card for the week’s unique menu! Farmbox Direct is an easy way to fuel and maintain a healthy lifestyle, so be sure to check them out! I am a huge supporter of eating and cooking with seasonal, fresh and organic produce so I love what they are doing. Once you have the fresh produce, you also need to make sure your pantry is stocked properly. What do you have in your pantry? I’m currently on a lentil, beans and barley kick. I could live off this stuff. For reals. So, I took my vegetables, the celery, carrots and the beautiful purple potatoes from Farmbox Direct, my beans, lentils and barley and made this stew! Oh and I can’t forget these biscuit croutons! Oh my gawd you guys. . I had leftover biscuits that I had made one morning and so I made some biscuit croutons. So, grab a bowl and let’s warm up with some beef and barley stew. Who wants some? It’s March 1st (I can’t believe it’s March?!) but it’s still cold here in Wisconsin, like cold and still snowing occasionally, until April. But I just might be able to survive another month with several bowls of this stew. Now, this one takes a while so make this one on a Saturday or Sunday and enjoy! Preheat your oven to 350 degrees. Prep a parchment lined baking sheet and toss the biscuit cubes on top, spreading on the baking sheet evenly. 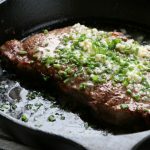 Drizzle with the melted butter and sprinkle on the dried parsley flakes and bake for about 10 to 12 minutes, or until lightly browned. Heat the olive oil in a large Dutch oven over medium-high heat. When the oil is hot, brown the beef in batches on all sides, setting aside on a plate as the pieces are browned. (Don’t salt the meat yet, as you won’t obtain a proper sear). When all the beef is browned and has been removed, add the pancetta (or bacon) and cook just to render the fat, for about 4 minutes. Add the carrots, celery, leeks, onion, and the garlic. Cover the pot and sweat the vegetables over medium heat until the onions and leeks are tender, for about 10 minutes. Meanwhile, tie the whole sprigs of parsley, rosemary and thyme and the lemon zest, orange zest, cinnamon sticks and bay leaves into a sachet wrapped in cheesecloth. Once the vegetables are sweated, pour in the wine and increase the heat to high to reduce the wine by half. Add in the sachet, the tomatoes, chicken stock, and allspice. Bring to a simmer and season with salt and pepper. Return the browned beef to the pot, add the potatoes and cover, and simmer, stirring occasionally, until the beef is tender, but the sauce is still soupy, for about 1 to 2 hours. When the meat is tender, add the cooked barley, the cooked beans and lentils and simmer to blend the flavors, for about 15 minutes. Discard the sachet. Ladle the stew into bowls and top each serving with some more fresh parsley and the biscuit croutons. Enjoy! 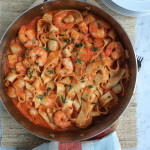 Recipe from Geoffrey Zakarian’s My Perfect Pantry (changed slightly). 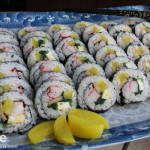 Recipe published here. Disclosure: This is not a sponsored post. I am a huge supporter of fresh, seasonal and organic produce and wanted to help promote Farmbox Direct. All opinions expressed here are 100% my own. « Seven Sundays Muesli + A Giveaway!! I love ho hearty barley is in soups and stews. Those biscuit croutons sound incredible. What a great way to use up the leftover ones, Thanks for sharing! I can’t believe how much you’ve packed into this soup — and yet it looks light, bright, and beautiful. One of my favorite childhood soups is beef barley! I love all that gorgeous produce!! 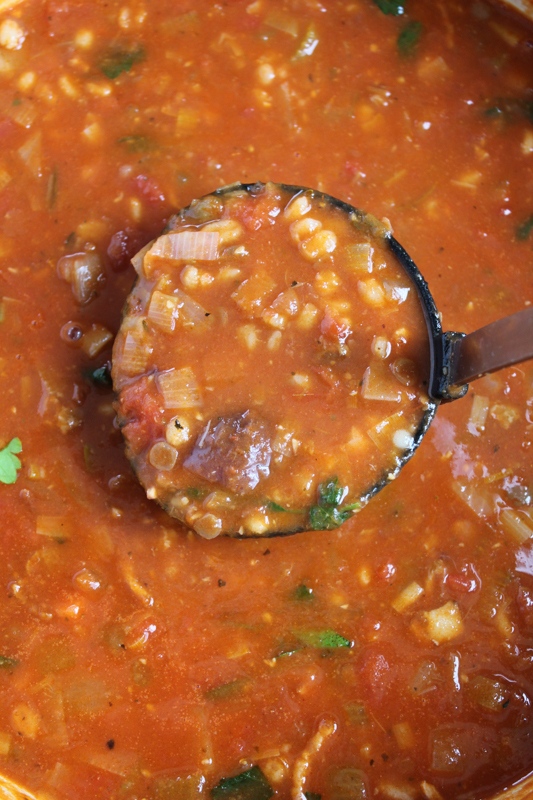 What a great way to use it – stew/soup is one of my favorite things to make! 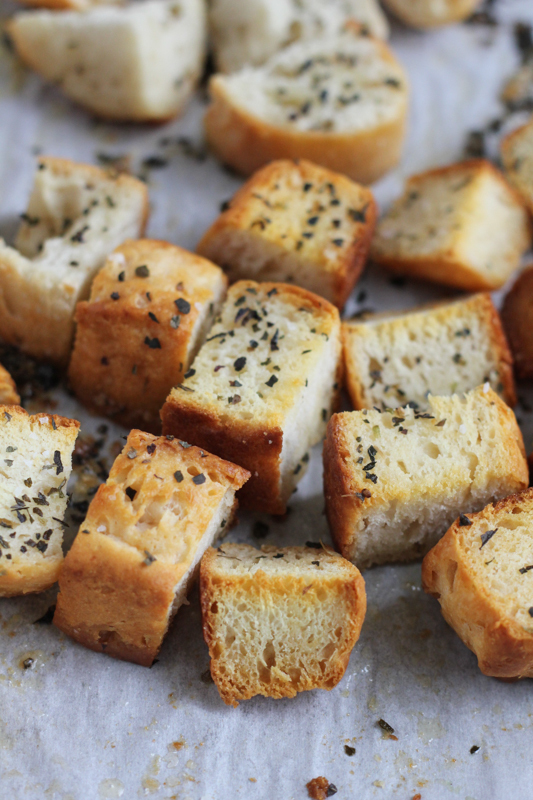 And those biscuit croutons – yum! Need to try this! I am also on a lentil/bean/barley kick! Can’t get enough of them 🙂 Love this stew, and biscuit croutons? These need to be in my life! Fresh, organic AND beautiful? This soup looks amazing. Those homemade croutons are killin me!!! I’m sorry, but did you say BISCUIT CROUTONS. Mind = blown. I need a bowl of this ASAP. Beef barley stew is one of my favorites! 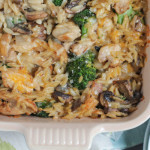 This looks like the ultimate comfort food, Alice! And I can’t get over how delicious those biscuit croutons look. Love this! 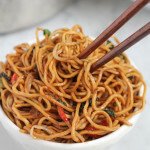 This looks so delicious and comforting. I love that you have packed it full of veggies too. This stew looks amazing! It’s still really cold here in upstate New York, and I think a big bowl of this soup would be perfect for lunch today. Oh, and those biscuit croutons? Amazing! What a great idea!! Biscuit CROUTONS you say?! My mind = Absolutely blown. 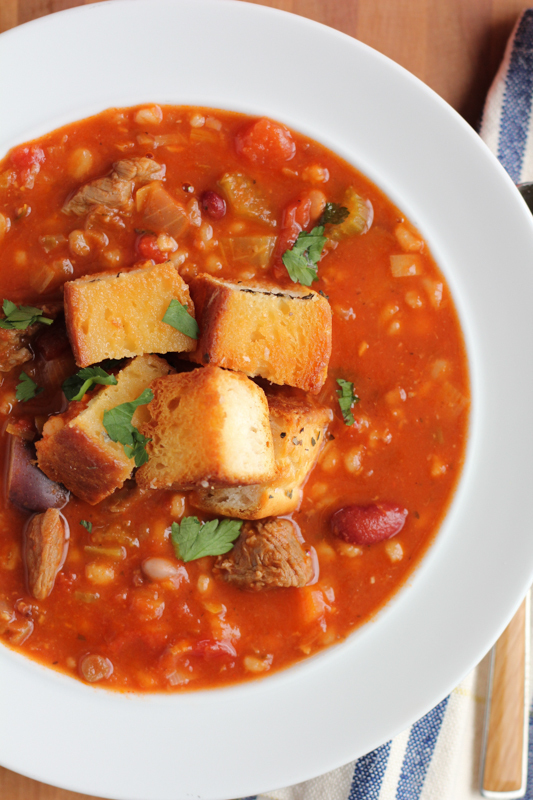 This stew looks beyond amazing and just the thing to warm up us Wisconsin-ers! A big bowl of this comforting stew would warm my bones so much right now. Also I love that you use such fresh produce. It is so fantastic! This soup looks amazing! 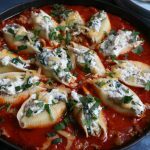 It’s been perfect soup weather in my neck of the woods, and this would be a perfect weeknight meal! I’ve been talking about making beef and barley stew for a week now! I even bought barley and have been eyeing it every day in my kitchen. 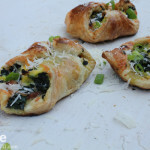 I am seeing this recipe for a reason– it must happen now! This stew looks fantastic, Alice! It’s packed with goodness! Pinned! This is such a fantastic stew, Alice! I love that you used all fresh, organic vegetables. My mouth is watering for a giant bowl! This barley soup looks amazing, Alice! Love stews. so perfectly warming on a cold day! 😀 Those biscuit croutons are divine too! 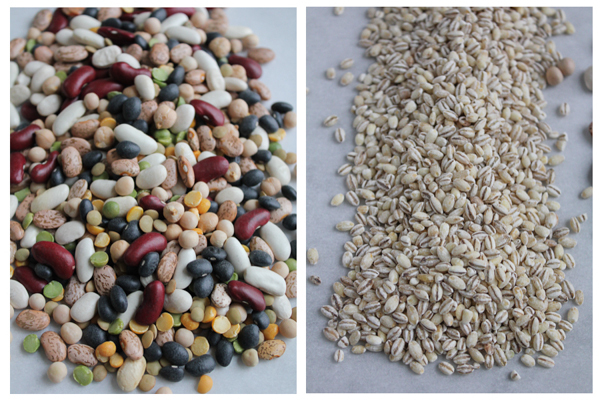 My pantry is stocked with tons of beans and grains as well! Fingers crossed that the weather will get warmer for you soon. I bet this stew makes your evenings better though! You have a way my dear!! Biscuit croutons? Genius!! And love all of those veggies along with the beef and barley in the soup. Pure comfort. 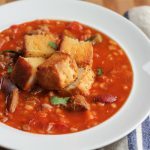 I haven’t made beef and barley soup in a while but after seeing this one I know I need to make some! Love the biscuit croutons. Great use of organic veggies! Pinned! I love how you turned all of these ingredients into something SO comforting and delicious — and those biscuit croutons — yes!! I love lentils, beans, etc. so much — they make everything so satisfying. Pinning! I am loving the biscuit croutons! And the farm to table box of delivered veggies! We love organic produce in our house! This soup..mmmm! Pinned! I love fresh and organic produce. 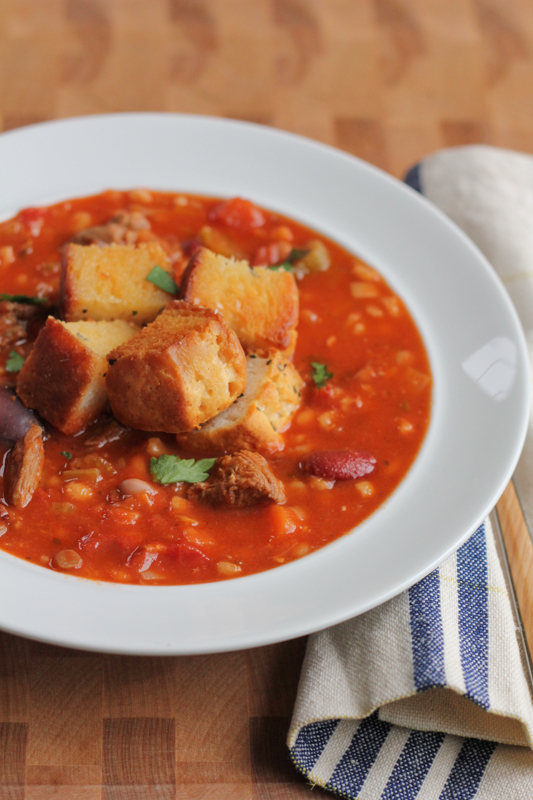 This stew looks so comforting and perfect for cold weather, not to mention your biscuit croutons. Amazing! On it’s own, this soups looks awesome! But then you tossed in those biscuit croutons- AMAZING! Wow, I love the idea of Farmbox direct! Those veggies look so fresh. I definitely need to check them out and try this stew! 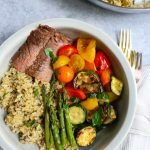 What a bowl of deliciousness and comfort – I join a CSA during the summertime and love all the fresh product – always such a fun surprise to see what each week brings. Such vibrant veggies and that stew looks divine and perfect for those cooler evenings! Biscuit croutons?! You are a genius lady. Love how hearty this soup is! Gosh, did you say biscuit croutons??? I must try. ASAP. Someone bring me biscuits! My mouth is watering over all that fresh produce and this stew! It looks so comforting and delicious! And biscuit croutons? Sounds amazing! 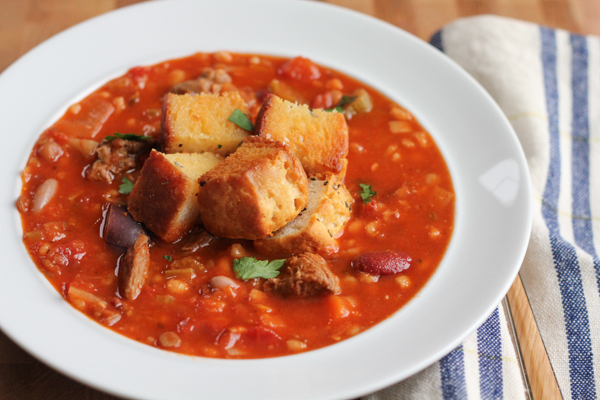 Those biscuit croutons look so good, as does this stew! Love the mix of fresh vegetables with hearty pantry staples!